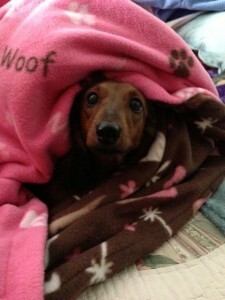 We all know how much our Dachshunds love their beds (and ours! ), so please take a look at the sellers below for those all important bedtime items. 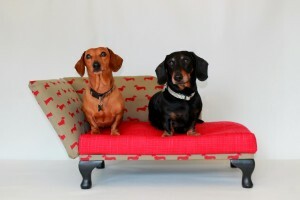 Lounge Hounds- Luxury chaise lounges for your dog. 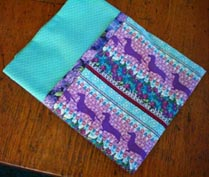 Can be made in a variety of colours and fabrics. Every hound deserves a bit of luxury. Delivery worldwide. 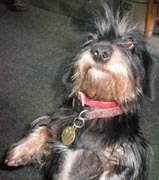 Rockin Dachshunds & Friends – Rockin dachshunds was created from our over the top affection and love for our kooky, crazy dachshund, Anna-Houdini-Belle and realised that every doxie owner must feel the same as we do about their dogs. 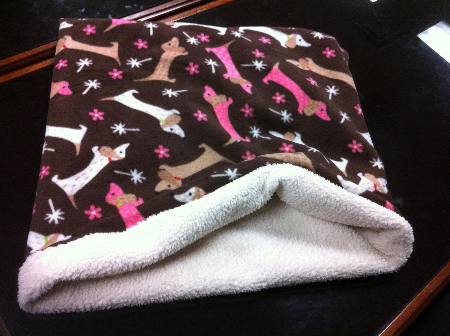 Dachshunds themed pillowcases are a must for any bedtime routine in a dachshund owners home. 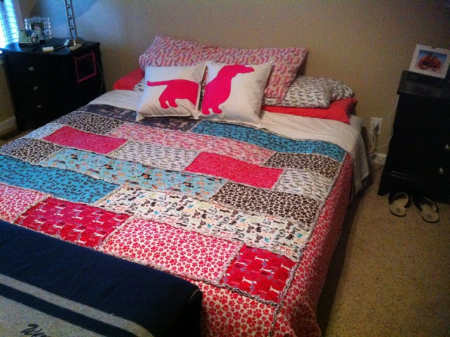 Our Pillowcases come in single standard, pairs or queen size. We also do kids, toddler sized pillows, perfect for taking in the car on journeys or over night stays. We offer a variety of prints and designs with varying trims and ‘cuffs’. Please check out our Facebook page where we will be happy to answer any questions. 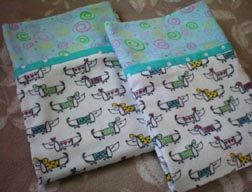 Dog inspired Rag Quilts & Novelties – Wendy Duvall makes custom rag quilts, dog beds, fleece blankets and snuggle bags. 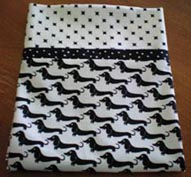 Mostly dachshund inspired fabric, but is able to do whatever you like!! Please contact her for your bespoke order. 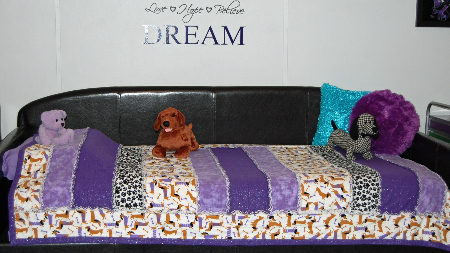 Fun products with a dachshund theme, all hand-made. Please click on the images below to view in full.